CMP and Merman, which produces MOTHERLAND for the BBC, and Kapital Entertainment, are in development with Amazon Studios for drama series DIRTY, written by Danny Brocklehurst (SAFE, SHAMELESS, THE DRIVER). A funny, filthy, brutally honest look at modern lives, DIRTY is the story of a principled woman who takes her first steps into a world of moral complexity. She discovers that everyone has their secrets, and that everyone, to some extent, is dirty. Caryn Mandabach and Jamie Glazebrook will executive produce for Caryn Mandabach Productions along with Sharon Horgan and Clelia Mountford for Merman, Aaron Kaplan and Dana Honor of Kapital Entertainment and Danny Brocklehurst. Set in the English seaside town of Brighton, in the 1980s, HIGH DIVE is a re-imagining of the IRA bombing attack on The Grand Hotel, an attempt to assassinate then British Prime Minister Margaret Thatcher and key members of her government, during the Tory party conference. The New York Times, which picked Lee’s novel as a best book of the year, describes it as “devastating” and “inspired” and wrote that it brought to mind the work of Alfred Hitchcock. The material offers a timely exploration of the allure of extremism and presents a tense, nuanced, and gripping portrait of an assassination attempt that changed the face of global politics forever. The four parter is to be written by the book’s author, Jonathan Lee, with Academy Award winner Eric Roth (FORREST GUMP, THE INSIDER, MUNICH) supervising. For television Mr. Roth was an Executive Producer on the American HOUSE OF CARDS, from its inception. He also serves as Executive Producer of the highly regarded BERLIN STATION, and the Emmy nominated Best Limited Series, THE ALIENIST. Mr. Roth will also serve as Executive Producer, along with Jonathan Lee and Caryn Mandabach and Jamie Glazebrook for Caryn Mandabach Productions. 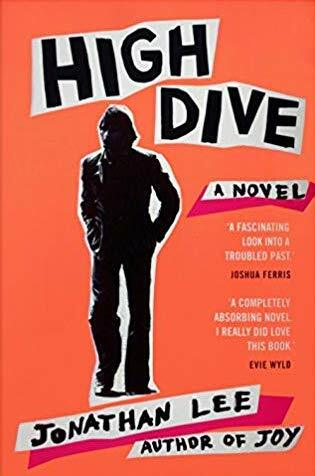 HIGH DIVE by Jonathan Lee is published by Alfred A. Knopf in the U.S., William Heinemann in the U.K., and is available in 12 languages. It was selected as a best book of the year by the New York Times, Washington Post, Wall Street Journal, New Yorker, and many other publications. Caryn Mandabach said “Timeless in its depiction of how politics and politicians tend to crush the human spirit, Jonathan Lee’s brilliant book is more relevant now than ever. Of course, nothing more need be said about Eric. He is simply a master”. We are delighted to announce that the fourth series of Peaky Blinders has won the BAFTA for Best Drama Series at the 2018 TV BAFTAs. 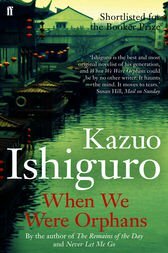 Caryn Mandabach Productions has optioned the TV rights to Kazuo Ishiguro’s novel WHEN WE WERE ORPHANS. Ishiguro (The Remains of the Day, Never Let Me Go) is the recipient of the Booker Prize, as well as the Nobel Prize In Literature 2017. WHEN WE WERE ORPHANS tells the story of Christopher Banks, a celebrated detective in 1930s London. His encounters with friends past and present lead him to unravel a mystery surrounding the disappearance of his parents during his childhood in Shanghai, China. It’s a journey into darkness with a profound sense of how historical events affect and shape our lives. Ishiguro will executive produce, along with Caryn Mandabach and Jamie Glazebrook for Caryn Mandabach Productions.